Submitted by Albert Tan. 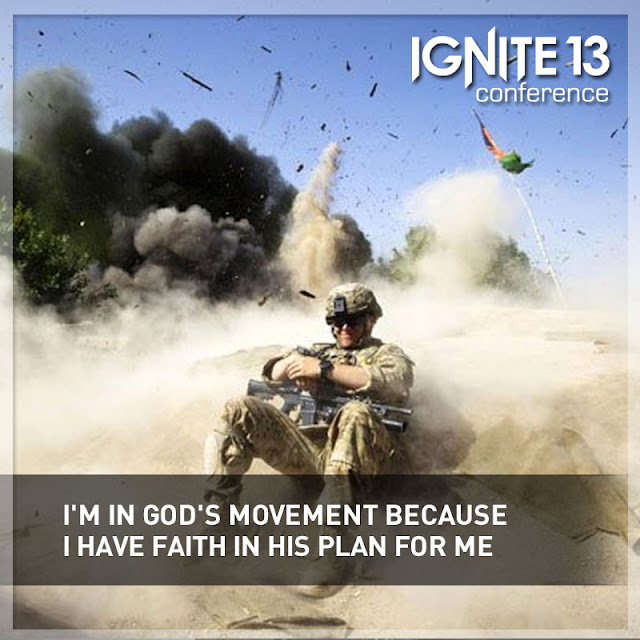 Edited by IGNITE13: I'm In The Movement committee. It's so easy to fall into the trap of negativity and critical spirit. If God is never judgmental/critical about our mistakes, what will be left of humanity? Love covers multitude of fault. As simple as that. Love is the best weapon to fight against the spirit of dissension, strife, pride, argumentative nature, superiority, envy, anger, etc. I'll see all this in one coin: negative spirit. The IT enemy. The best way to fight against negative spirits is to keep feeding yourself with daily dose of love and Words. You can't fight negative with negative. They repel each other by nature. When you feel severely discouraged about people or some situations in life, just think of God's love. God loves you so much He will not let you stay there for long. Tribulations and sufferings are there to sharpen your character, and bring you up to another level of strength and maturity. God loves you so much He will definitely provide the best people to be around you in the rightest timing of life. By all means, God will never desert you or leave you alone. What we need to do is simple, just stick close to Him like a Scrooge and his gold coin. Be as sticky as you can to God, and let His love and peace flood your heart with the sweetness of heaven.. The Ammo: Compassion. Kindness. Humility. Gentleness. Patience. Forgiveness. Peace. The Action: Be at peace. Pursue unity. Teach. Gently rebuke (admonish). Be wiser through God's Words. Sing praises. Be thankful. Give credit to God.